This past year I spent some time at places other than Hodgepodge. And it was a hodgepodge of writing, art tutorials and guest appearances I was absolutely honored to be a part of. I enjoy encouraging fellow families. Today, I am sharing my writings and interviews from 2013 (well, and one from 2014!) – all in one spot. I hope you will find something that blesses you! 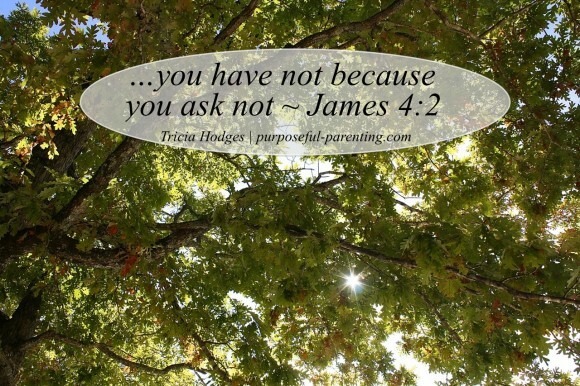 I invite you to please join me at the Real Refreshment Retreats blog today! 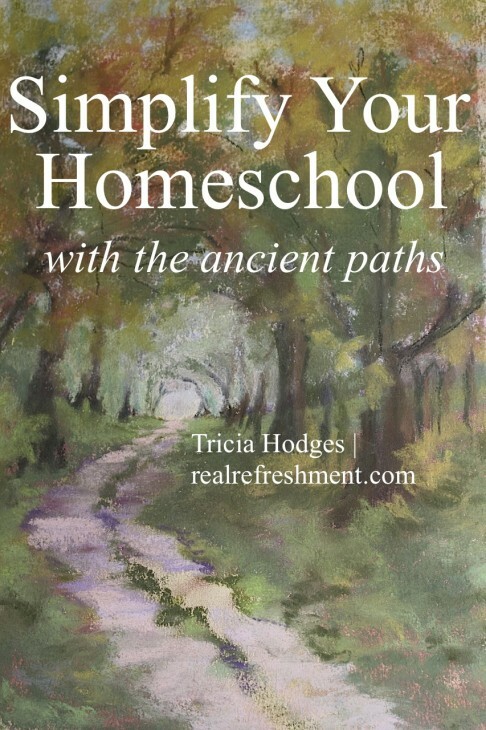 I am sharing something the Lord reminds me of often, especially at the start of a new year: Simplify Your Homeschool with the Ancient Paths. (Artwork by Lucia Hames – you can make your own with her Walk in the Woods tutorial). I contribute regularly to our sister sites. Hodgepodgedad and I write reviews for The Curriculum Choice. I also share posts with my fellow writers at Habits for a Happy Home. I encourage you to stop by and spend some time at each of these places. I also have a cookbook full of recipes at $5 Dinners and Food Allergies on a Budget. I contributed yummy favorites at these spots until a couple of months ago. Chalk pastels keep me and Nana very busy these days! Of course the art tutorial posts Nana had a BIG part of!! 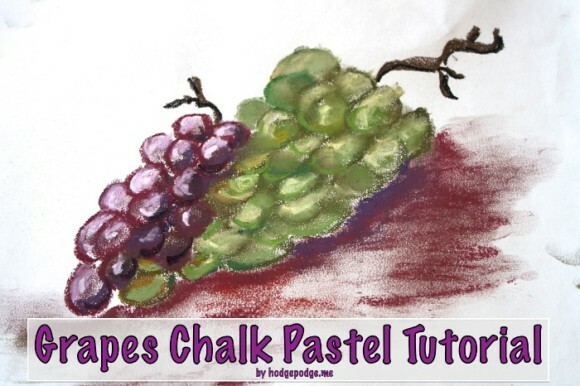 Free Homeschool Deals Grapes Chalk Pastel Tutorial – This is a very easy pastel to paint! 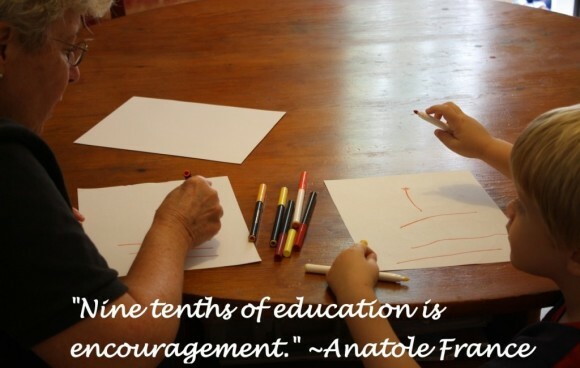 It can be done successfully by even the youngest student because it is comprised of mostly circles! 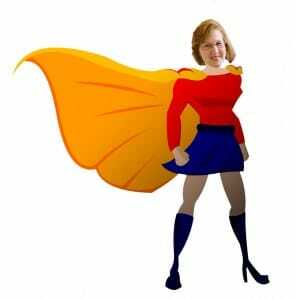 Homeschool Super Heroes – I hadn’t worn a super hero costume until this! And I loved talking about how art enhances a homeschool environment. 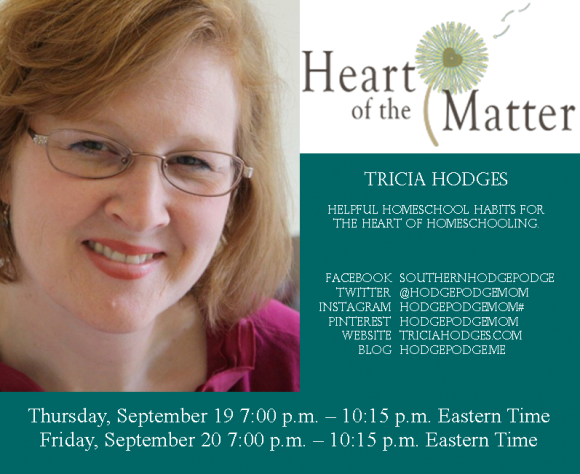 Google Hangouts – I was privileged to be a part of these panels with some wonderful, fellow homeschool mothers: Occupying the Littles During School Time and Homeschooling Children of Multiple Ages – both hosted by Lauren Hill of Mama’s Learning Corner. 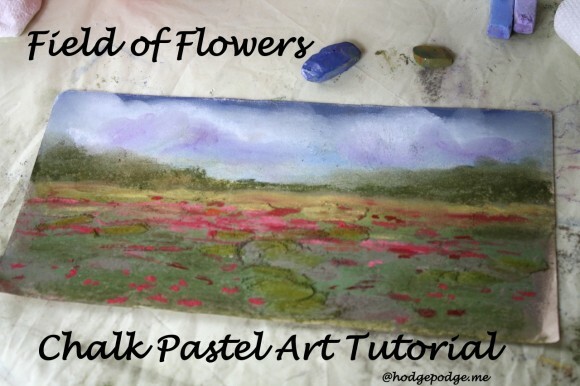 A Simple Start in Chalk Pastels at Unit Studies blog – I shared here the story of how we got started with chalk pastels and how Nana has taught us to grow that love of art! Encouraging Art at LaToya Edwards’ blog – When fellow parents talk to me about art there are a few things that usually come up in conversation. 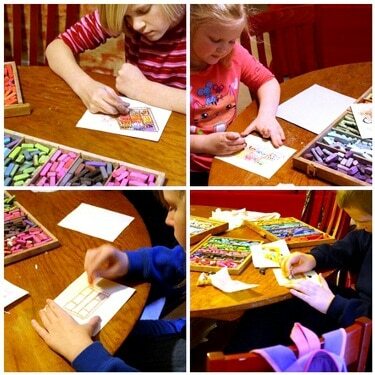 Most often the biggest challenges parents share are a lack of artistic skill and the expense of art supplies. 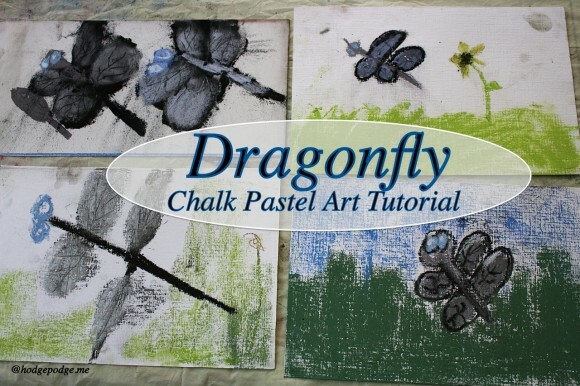 Build a Love of Art – guest post with Sharla at Chaos and Clutter – Didn’t we all start with chalk? Maybe a nice, thick piece of chalk helped you make big circles on the driveway. It’s a familiar medium. I’m slowly gathering up all these posts into one spot on my Homeschooling, Homemaking and Homecooking Pinterest board. You are such an incredible inspiration to us. Your chalk pastel tutorials have changed us from feeling we were not able to make art to feeling accomplishments in our skills.